Making a website for small business in WordPress ? Wait a minute, here we listed 20 plus must have WordPress plugins for business site that can help you to achieve your targeted customers and take your WordPress site to the next level. Best logo slider is a responsive slider plugin, it can be use as clients or partners logo carousel slider. It’s comes with 2 different version, free and premium. Free version available in WordPress Plugin repository. It’s responsive and mobile device friendly. Mouse and touch devices swipe supported. Feature to control, number of logos in different screen size. Portfolio is a very important part of a small business website. 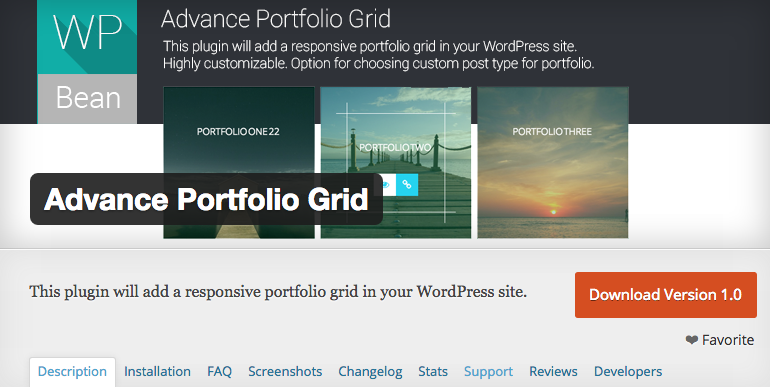 Advance Portfolio Grid is free WordPress plugin that allow you to make a nice and stylish portfolio within a short time. It comes with mobile responsive portfolio grid and column, pop up portfolio images in light box, different post type & category for quicker portfolio posting, shortcode for using portfolio anywhere of the site and bunch of settings in option panel. It’s also have a premium version that allow filtering portfolios by portfolio categories, three different themes & portfolio counting system. 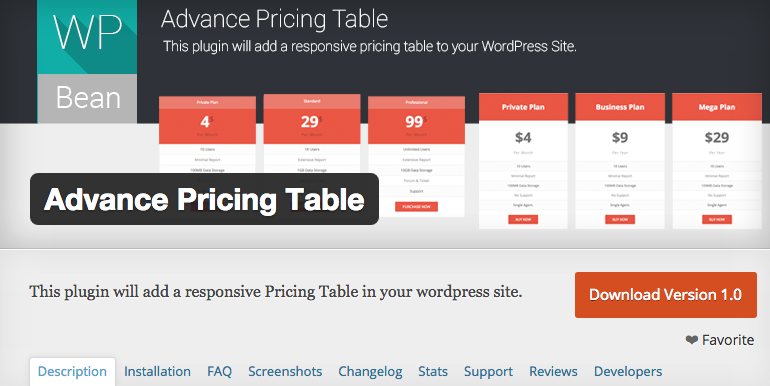 Advance pricing table is a highly customizable , most advance , very easy and light weight WordPress Pricing Table Plugin. Very easy to use and fully mobile device responsive. Supported with all kind of WordPress Themes. It’s premium version comes with drag & drop pricing table builder and Visual Composer page builder element support. 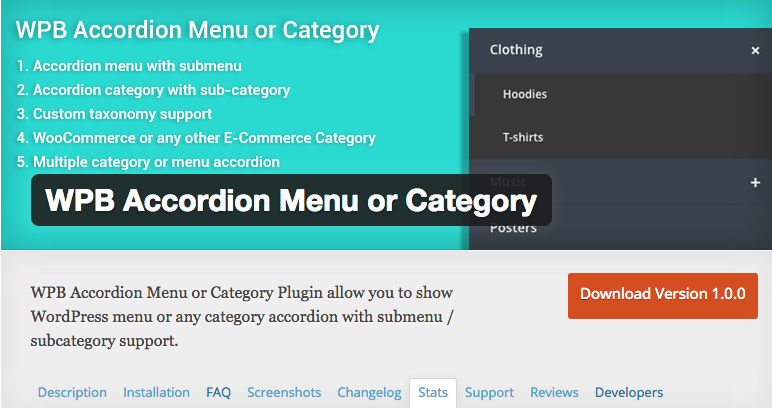 WPB Accordion Menu or Category Plugin allow you to show WordPress menu or any category accordion with submenu / subcategory support. Highly optimized for WooCommerce or any other ecommerce categories. Nice animation effects. Responsive and modern flat design. It’s premium version comes with menu & category widget for easy use, icon picker for both menu and categories, any custom taxonomy or menu support and two different theme & custom theme feature. Best WordPress FAQ Plugin that with each and every single feature that you need to add FAQ system in your WordPress site. It’s a custom post type base FAQ management system. Using this plugin is super easy. Multiple FAQ’s form different categories and tags are also possible for this plugin. WPB Circliful is a counter plugin for WordPress. It will show a nice and animated contenting and percentages. You can use it for so many purpose. Like showing different types of skills, any amount of data, number of customers, number of project you done, number of stuff you have etc. Slider is very import part for small business websites, But there is some problem. Most of the slider plugins are heavy weight and they load lost’s of scripts and CSS that causes site slow. weGallery is a most lightweight and stylish slider plugin for WordPress. It’s build using the most popular Flexslider jQuery plugin by WooThemes. It has bulk image uploader which works smoothly in latest version of WordPress. For any kind of business site, showing testimonials is very important. There are so many free & premium testimonial WordPress plugin available. We recommend to use Testimonial Rotator. It’s a free plugin and it’s huge popular in WordPress plugin repository. It’s come with all necessary settings, so you can customize it as you want and make it compatible with any kind of business site. It also come with rating system, so you can easily show user ratings in testimonial. Next/Previous button, vertical alignment, multiple testimonial rotators, single page template for testimonials and so many important feature also comes with this plugin. Probably the best login registration plugin for WordPress site. If your site need front-end user login registration, you use this plugin undoubtedly. It’s has 100,000+ active install and We also using this plugin for our WPBean site. It’s very easy to use, just plug and play. After activating this plugin it will create login, revisitation, lost password pages automatically. You can customize it form it’s setting panel. Form last few years social networks playing a vital role in marketing communication. For any kind of business sites social marketing is very important. Twitter is most important for marketing of small business site. TweetScroll is a Twitter tweets slider widget plugin for WordPress. It will bring your latest tweets form your Twitter account and side it to your WordPress site. It’s come with a powerful widget with all necessary setting. So it can be use any where of the site.Number of tweets to load, number of tweets to show, caching tweets are the key features of this plugin. It has three different animation style slider up, slider down, fade.